Turtle Wax Pro is committed to providing high quality, chemicals with world-class marketing support to help customers standout from the competition. What’s New/Best Seller • True-Vue & ClearVue Chemical Management System. Advantages/Features • The compact, efficient, and reliable chemical management system can be customized to meet your needs. The True-Vue system holds 10-gallons of True-Line Turtle Wax® Pro chemical per tank providing operators with an efficient, safe, and easy-to-use system. For more insightful and reliable cost-per-car data add the ClearVue chemical monitoring system to the True-Vue system and get in-depth, data-driven analytics to manage one or more car washes. With ClearVue, you can get all the data you need to make informed decisions instantly with one system whenever, wherever. KC Chemicals manufactures car wash soaps, waxes, and related detergents. What’s New/Best Seller • Terminator Presoak. Advantages/Features • Terminator Presoak is a high pH presoak that effectively removes dirt, grease, and grime. A light foam blankets the entire automobile and goes to work instantly. An added benefit is that it can be used to remove dried and caked on bugs from any vehicle. If requested, dyes can be added to create brilliant colors, which further enhance the customer experience. This highly concentrated product has excellent dilution rates, which makes it a very economical choice. 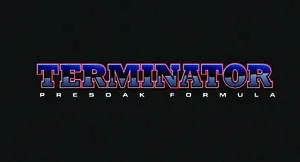 Terminator Presoak can be used in tunnels, automatics, and self-serve car washes. 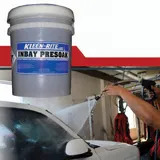 For more than 50 years, the Kleen-Rite Corporation has focused on providing car wash owners with the widest selection of commercial car wash supplies and equipment at the best possible prices. What’s News/Best Seller • In-Bay Presoak. Advantages/Features • The 5-gallon In-Bay Presoak is the company’s most popular automatic presoak detergent. It breaks down and removes road film, windshield residue, and other road soils. Use it as the second step to follow up a low pH soap in a touchless automatic wash process. Its highly-concentrated, fast-acting formula contains unique water conditioners for great performance. This high-sudsing alkaline detergent has a dilution ratio of 75-120:1. It’s just one of the many car wash soaps on sale during Kleen-Rite’s Soaptober promotion. Price • October sale price for a 5-gallon supply is $42.25. Also available in bulk 30-gallon and 55-gallon containers. What’s New/Best Seller • Prime Pak. Advantages/Features • Simoniz Prime Pak products are ultra concentrated which allow for the use of less chemical per vehicle as compared to traditional concentration. “New aged” highly effective materials have allowed Simoniz to create a true concentrated system that contains little or no water. Simoniz prime pak chemistry and funnel system is ideal for C-store operations, and small equipment rooms, which allow you to save space, time, and money. They can be used in conveyors and in-bay automatic washes. The product line consist of Prime Pak LPH, HPH, presoak and wheel cleaner, clear coat sealer, Foam Brite, drying agent, triple foam in variation of colors, and high pressure detergent. Sonny’s is the world’s largest manufacturer of conveyorized car wash equipment, now offering OneWash, a complete car wash management suite to promote the growth of car wash businesses by providing consulting, college, equipment, vacuums, controls, marketing, chemistry, and parts. What’s New/Best Seller • Sonny’s Foam Generator Easy Clean with Nozzle. Advantages/Features • Sonny’s Foam Generator Easy Clean with Nozzle comes equipped with a .5” FNPT outlet. The foam generator can easily connect pipe tubes or showerhead nozzles with .5” MNPT adapter. Doctor Joe incorporated Towels By Doctor Joe in 1995. What began as a very small company that shipped orders out of the garage at the family residence has grown into a 32,500 square foot warehouse and sales office. What’s New/Best Seller • The Top Towel. Advantages/Features • The Top Towel is a plush terry microfiber towel developed for the car care industry. The microfiber towels have the feel of soft cotton. The lint-free cloths are heavier, like the company’s cotton towels, with the performance and durability of microfiber. The special polyester/polyamide blend offers maximum absorbency and lint-free drying. The Top Towel is available in 16”x 16”, 16” x 27”, and 20”x 40” sizes and in royal blue, deep red, dark green, and black onyx. Over the last 39 years, JBS has lived up to its motto, “Just Better Soap.” As a leader in car wash chemistry, its focus is always on offering customers the highest-preforming products at a competitive cost-per-car. JBS proudly provides car wash chemicals to tunnels, automatics, and self-serve operators worldwide. What’s New/Best Seller • C.O.M.P.A.S.S. Advantages/Features • COMPASS hyper concentrates is a full line of car wash chemicals designed to reduce operator cost without compromising performance. The products provide an impressive show of brilliant colors and captivating scents customers love. COMPASS is packaged in convenient 2.5 gallon containers which come two to a case yielding more than 900 applications per case under normal conditions. Operators have experienced cost-per-car reductions of up to 20 percent. 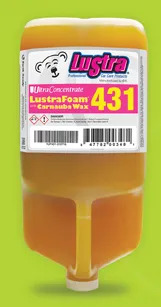 What’s New/Best Seller • LustraFoam with Carnauba Wax. Advantages/Features • LustraFoam with Carnauba Wax is a foaming sealant that provides a deep, glossy shine. Carnauba is a natural water repellent and UV protector. This is an extra income product for tunnels, which provides customers with an exceptional show and unique pleasing scent. Features include: up to 1000:1 dilution ratio; 1-gallon containers; and a variety of colorful signage to promote the premium menu item. Customer/Operator Support • CSI’s nationwide group of knowledgeable sales managers, consultants, and distributors provides operators with local support. Wheel-eez , a division of Cork Industries, provides a line of eco-friendly, non-corrosive, cost efficient wheel cleaning products to the car wash industry. 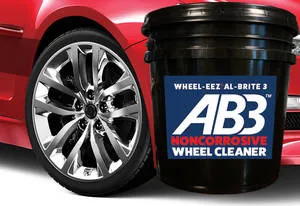 What’s New/Best Seller • Wheel-eez Al-Brite 3. Advantages/Features • Wheel-eez Al-Brite 3 is a noncorrosive biodegradable wheel cleaner that works in tunnels with a CTA or with hand sprays. Five gallons will make 55 gallons by mixing with water and then diluted again via a dispersion tip. The product can be used on all types of wheels and is engineered for ultra-safe use on uncoated and polished aluminum, chrome, paint, as well as anodized and powder-coated wheels. Dirt, grime, and even the worst greasy brake dust will be loosened and safely washed away. Cork Industries also provides industrial strength Wheel-eez Detail Pro as the noncorrosive solution for professional detailing shops. Price • $195, plus free shipping. Dealers and distributors call for quote. Blendco Systems manufactures and supplies a full line of transportation cleaning products, including formulated powder and liquid detergents, patented SuperSat Custom Detergent Systems and Red Rhino sealants and protectants. Blendco has been providing the professional car wash industry with innovative detergent solutions for more than 30 years. What’s New/Best Seller • Molten Shield Line of Detergents & Protectants, powered by Rust-Oleum. Advantages/Features • Blendco now offers Molten Shield, a full line of detergents and protectants, for the professional car washing industry which is powered by Rust-Oleum a trusted name in protection. 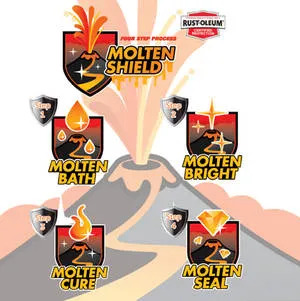 The new Molten Shield line includes, Molten Bath, Molten Bright, Molten Cure, and Molten Seal. Customer/Operator Support • Blendco has highly trained car wash professionals, many with decades of experience in the car wash industry who are available to assist as consultants to car wash operators. Blendco serves the United States and international markets through a network of professional distributors. 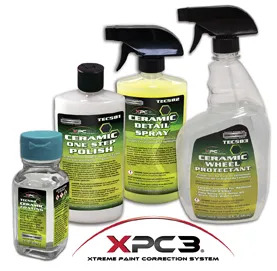 ECP Inc., one of the oldest and most trusted names in the auto dealer industry, proudly showcases the Technician’s Choice XPC3 Ceramic Coating, Polish, and Detail Spray. ECP specializes in proven chemistry and merchandising targeted to increase sales. What’s New/Best Seller • Technician’s Choice XPC3 Ceramic Coating, Polish, Detail Spray & Wheel Protectant. Advantages/Features • The Technician’s Choice group of products was designed to work in sync with each other to offer superior protection. Easy to use, these ceramic products offer peace of mind when it comes to paint correction and protection. Ceramic Coating will form a chemical bond with the paint, providing long-term protection on a molecular level. The coating enhances paint depth and gloss while hardening to provide a second clear coat effect that is non-stick, repels water, and is chemical resistant. Ceramic One-Step Polish is the first polish on the market to contain ceramic material. Use by itself or with the other two ceramic products. Ceramic Detail Spray is the easiest way to get ceramic protection on the vehicle. Use by itself or in conjunction with coating and polish. The Ceramic Wheel Protectant can be applied quickly, just spray and rinse on clean, wet wheels, and get up to three months of protection. Customer/Operator Support • ECP sales professionals and experienced, live customer service representatives are available. Local support is available coast-to-coast. Carolina Pride Carwash Systems and Solutions has been providing car wash operators throughout North America with industrial grade wash systems for 52 years. What’s New/Best Seller • Solutions Control Center. 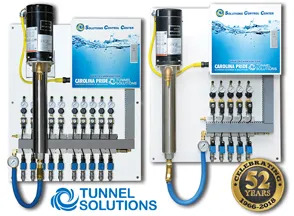 Advantages/Features • The powerhouse in the Tunnel Solutions line of equipment, the Solutions Control Center (SCC) can reduce solution cost up to 20 percent and reduce water and sewer costs 15 to 20 percent. The SCC comes standard with a VFD control for the pump, providing precise solution dispensing and longer pump life. 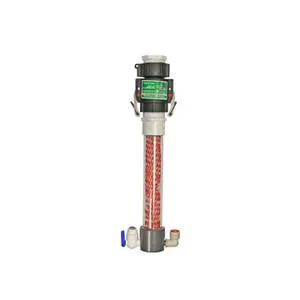 Single pump, pre-wired, re-buildable injectors, quick disconnect injectors, and an individually regulated air supply are included with the SCC. Featuring five to 10 solution services, each SCC is custom built for a wash’s specific needs, making solution management a breeze. Several options are available to fit a wash’s specific equipment needs. 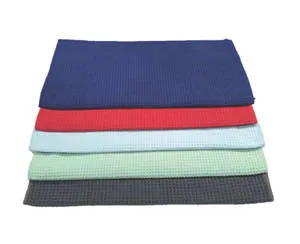 What’s New/Best Seller • TM-MC-01216 16” x 24” 400GSM Soft Waffle Weave Microfiber Automotive Cloths. Advantages/Features • The absorbent and scratch free oversize cloths have a dish towel feel, and at 400GSM are absorbent and durable. A lint-free finish provides a faster turnaround for busy car washes. Cross over to detailing and these towels provide double duty. Why buy multiple towels when you can achieve your goals with one? Multiple colors are available for body, wheel, interior, and glass. With color coding you can keep the towels separate and assign a use for each so employees can implement your cleaning system with ease. Colors include: blue, red, light green, light blue, and grey. Price • $1.50 for each 16” x 24” towel. Diamond Shine has only one focus, car wash chemistry. The company prides itself on a total commitment to the industry and not letting anything else distract that direction. Diamond Shine is constantly developing new and innovative products and resources to make washing cars easier and more profitable. What’s New/Best Seller • Bullseye. Advantages/Features • Bullseye by Diamond Shine is a keep-fill measurement system that is accurate, convenient, and safe. The built-in measuring tube allows instant cost per car analysis, and integrated rulers provide volume measurement directly on the tank. The system saves space in the back room and is specifically designed for easy and safe installation, maintenance, and operation. Utilizing sealed 2.5-gallon packaging, the units feature a limited exposure design to improve backroom safety. ERC Wiping Products Inc. is a leading supplier to car washes for body, window, and detail towels in terry/cotton, huck, and microfiber. ERC is committed to offering towels for every budget, in stock and ready to ship the same day an order is placed. What’s New/Best Seller • 16” x 16” Microfiber Towels. Advantages/ Features • The towels are available in six colors: red, yellow, green, blue, white, and black. 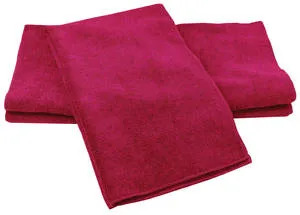 The lint-free, non-abrasive and absorbent towels effectively remove dirt and dust without chemicals. Towels are available in 50 count bulk packs. Since 1989, Kaady Chemical has performed under diverse conditions in car washes around the world, including a chain of Kaady automatic washes that act as a year-round “test lab.” Several top automakers in Japan use Kaady products in their pre-delivery facilities. What’ New/Best Seller • TWB (Tire Wheel, and Body) with optional lemon scent. 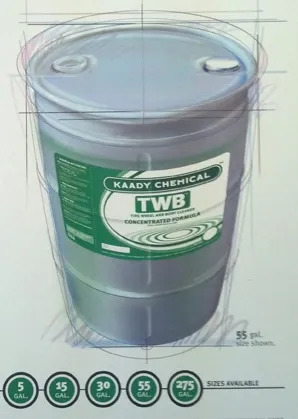 Advantages/Features • TWB simplifies chemical management and inventory control, while lowering operating costs. At different dilution ratios, the product is a great wheel and body cleaner, and can be used in self-serve operations. 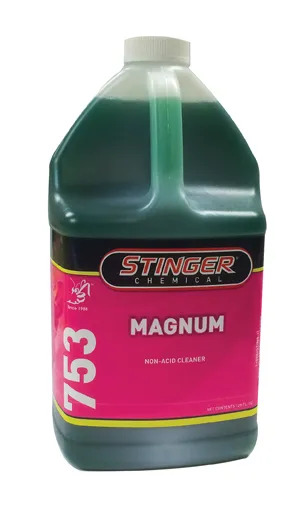 Stinger Chemical LLC is a leading car care corporation dedicated to manufacturing professionally proven, complete lines of automotive detailing chemicals and protective coatings. What’s New/Best Seller • 753 Magnum Non-Acid Wheel Cleaner. Advantages/Features • This highly effective, non-acid based liquid cleaner removes brake dust, grease, and road grime from various wheels and finishes including aluminum and alloys. It is designed to clean hard-to-reach wheel areas to break down stubborn road residue with ease. With a pleasant cherry fragrance, 753 Magnum is for economy use and can be diluted 5 to 1.